Can you tell I love snow?! 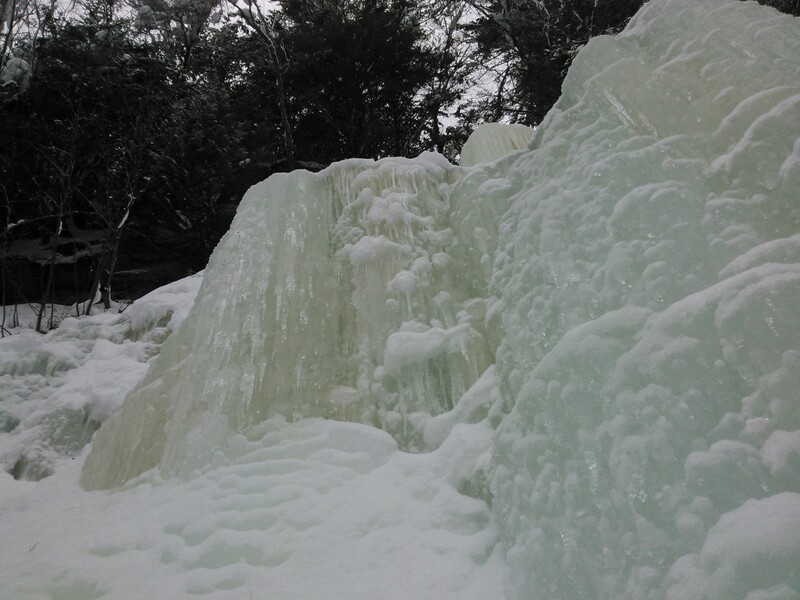 Frozen waterfalls are pretty cool, eh? Last week I explored Hungarian falls, located near Houghton in the UP. There are some great things to see even without leaving the state! Now I feel like I can go to Madagascar in a couple weeks without feeling like I missed out on this beautiful season. In fact, the prospect of bare feet and not having to bundle up every time I leave the house is starting to sound quite appealing! When I’m not playing in the snow, I’ve been trying to learn Malagasy, the native language of Madagascar. It’s been fascinating – the language has Malay origins, but has a definite African feel; the grammar and sentence structure is totally different to any other language I’m familiar with, and although words contains many vowels you rarely pronounce half of them! I’m excited to get to Madagascar and see what the ideal of “picking up” a language that’s around you actually looks like. I’m guessing it involves a lot of frustration! Oh the other hand, I’m feeling more optimistic about French, the other language spoken in Madagascar. I’ve being listening to French radio stations from Madagascar and other French African countries – and so far I’ve been finding the African-French accent easier to understand than the Parisian accent I’ve been taught in French classes! I’m hoping that’s the case when I’m actually in Madagascar too. Previous Previous post: Bienvenue En France!